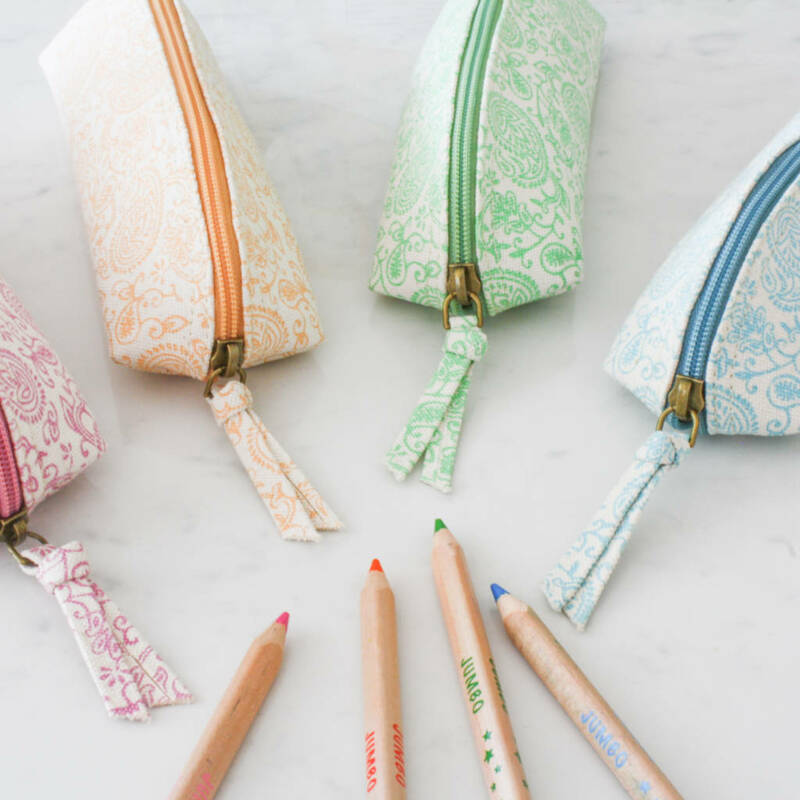 A pretty and practical pencil case (or small make up bag) which can be personalised with your choice of letter charm. 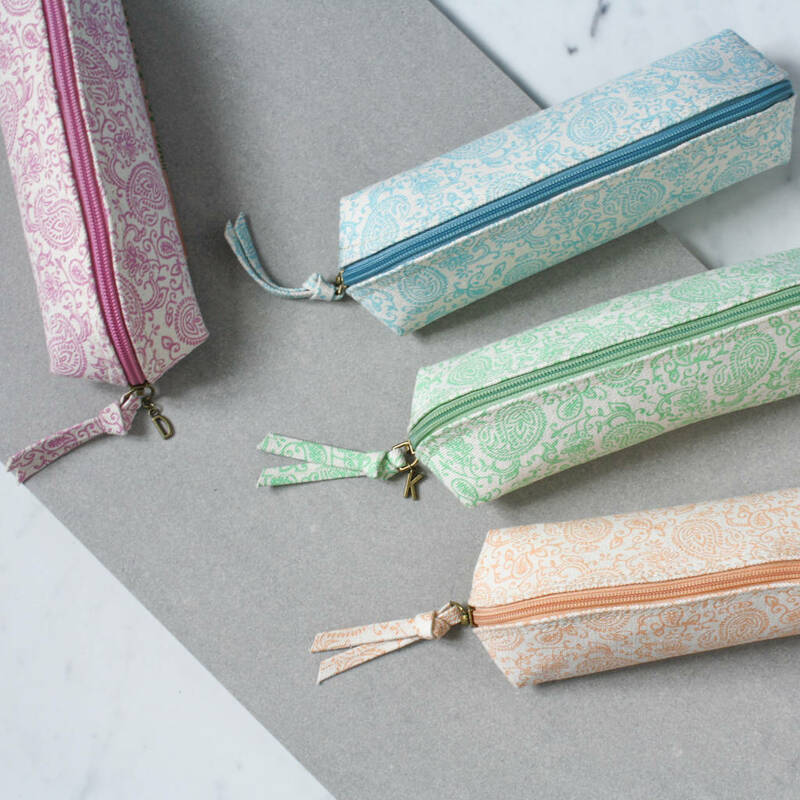 Handscreen printed in our pretty pastel colours these lovely pencil case/make up pouches are made from 100% recycled cotton canvas and are printed using eco-friendly dyes. 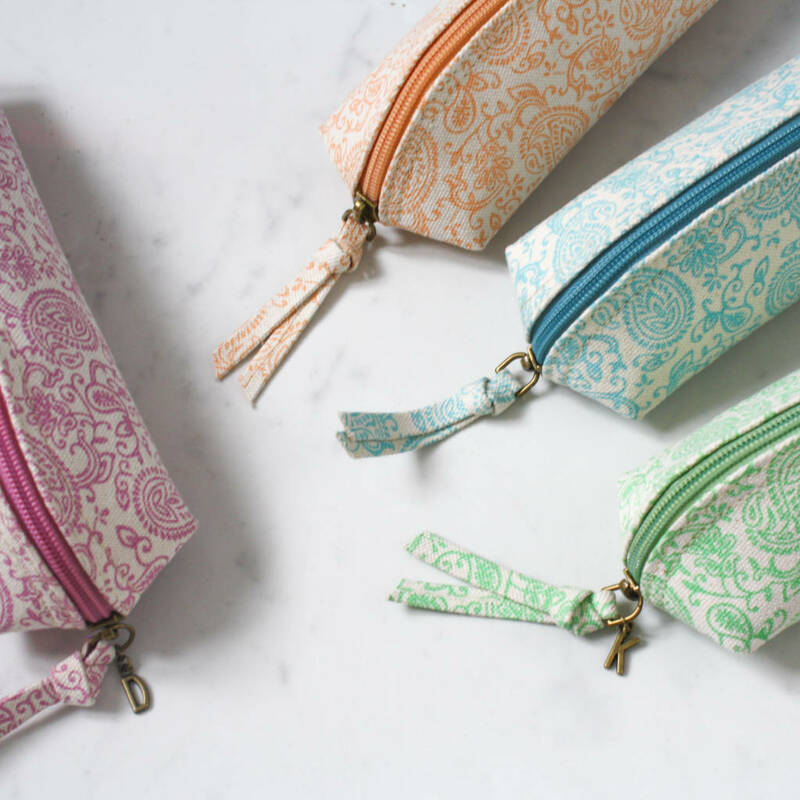 Each piece is hand finished with a heavy duty hand tied zip pull to ensure lots of reliable use. 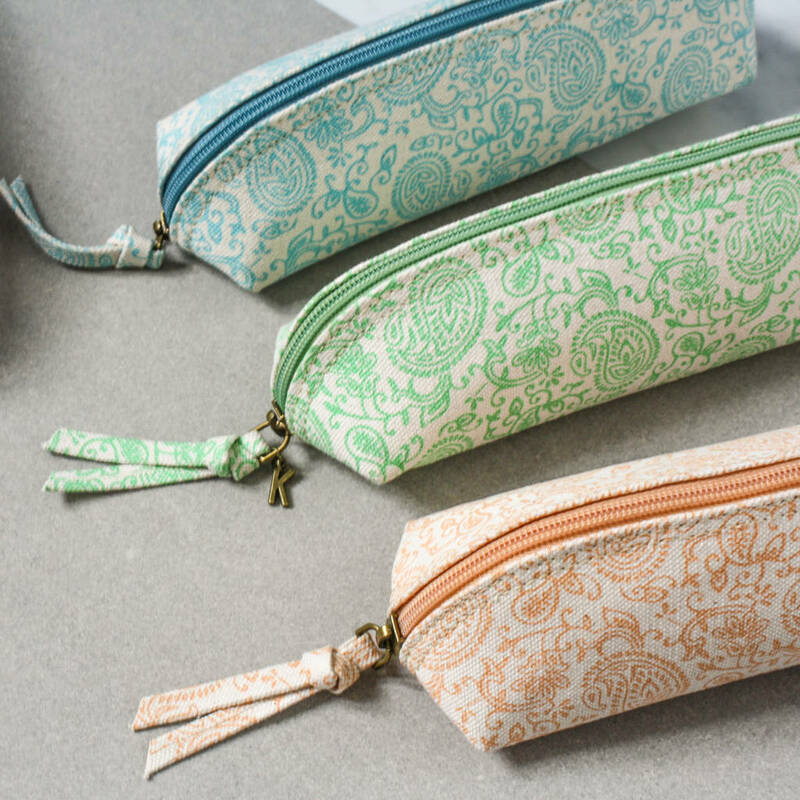 The perfect size for pens, pencils and a small ruler. Equally suitable for make up and a few small brushes. With the option of adding a subtle letter charm this would make a considered gift for someone special. 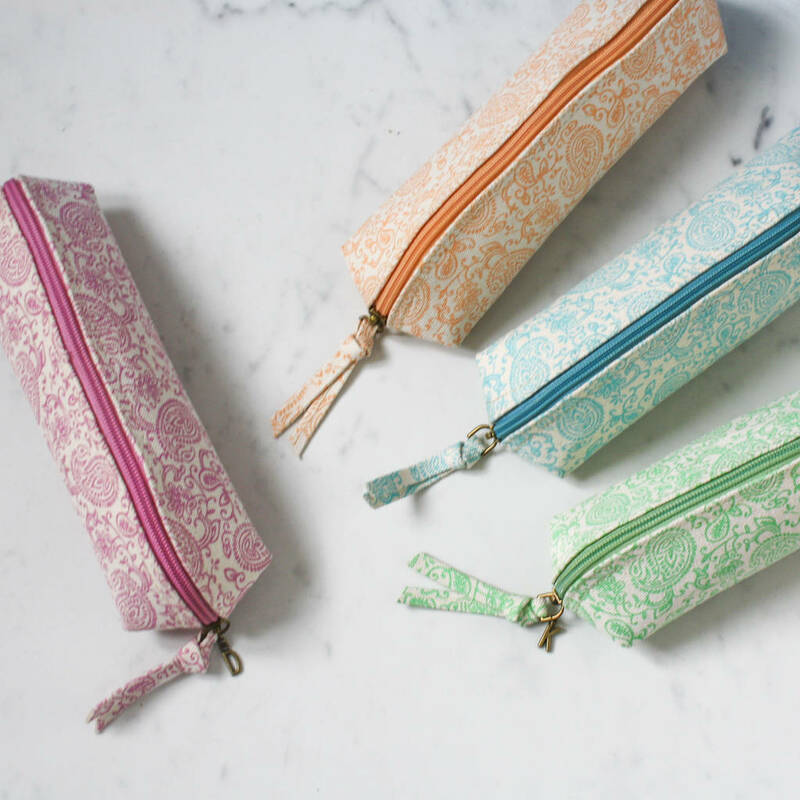 Mix and match these pencil case/make up bags with some of the other pastel pieces in our ranges. 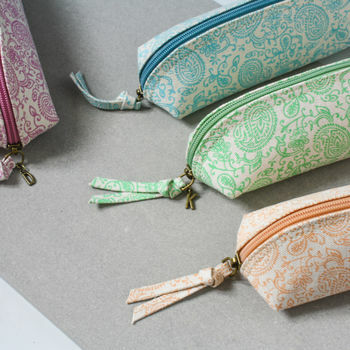 Would make a lovely gift when teamed with our A6 Pastel Paisley Notebook. Please choose you colour (Pink, Green or Orange) from the drop down list. We are out of stock of Turquoise. 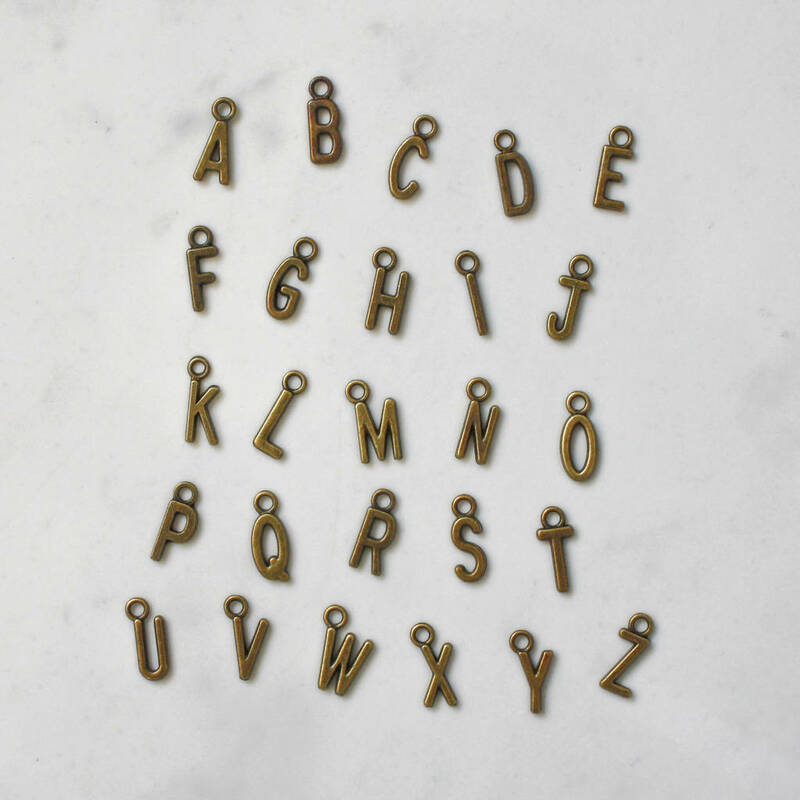 Can be personalised (+£1) please chose your letter charm from the drop down list. 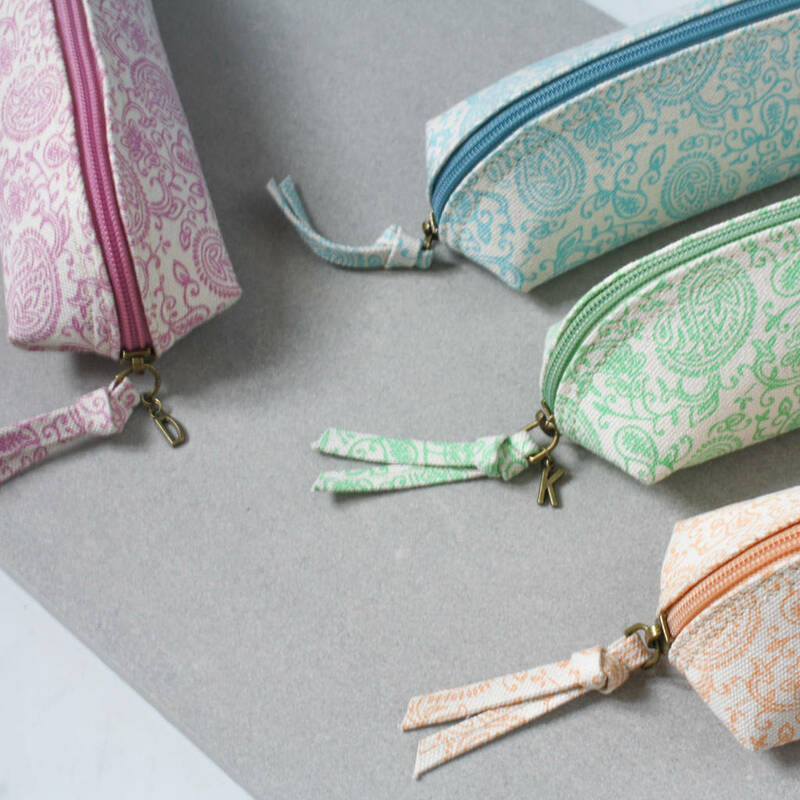 100% recycled cotton canvas. Metal zip. 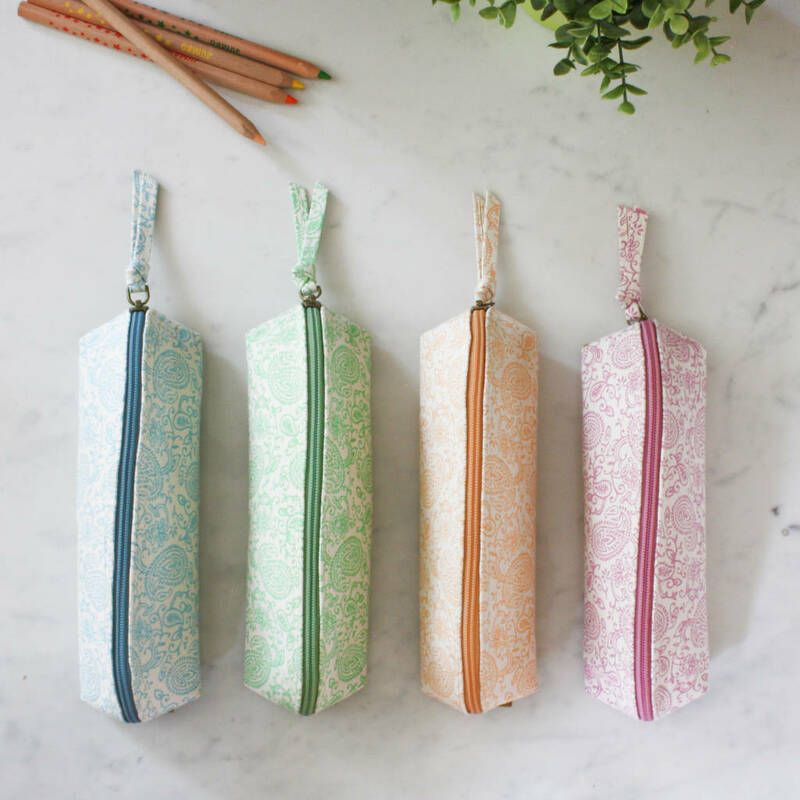 Pencil case 100% recycled cotton canvas. 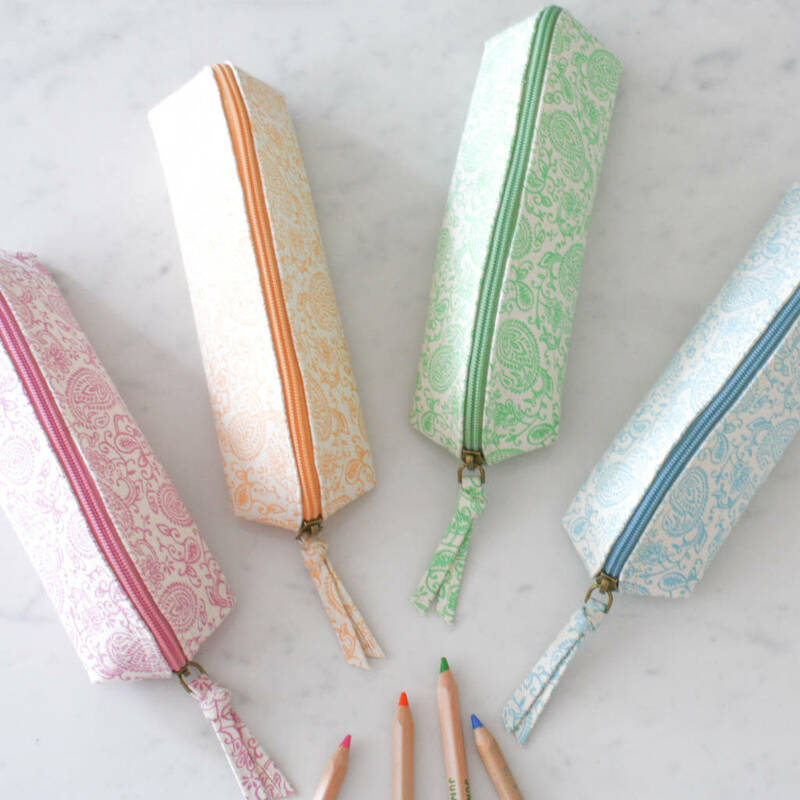 Pencil Case 7cms x 23cms. This product is dispatched to you by Heart & Parcel.